When most people think pizza, they think of take out. We’re here to show you that doesn’t have to be the case! 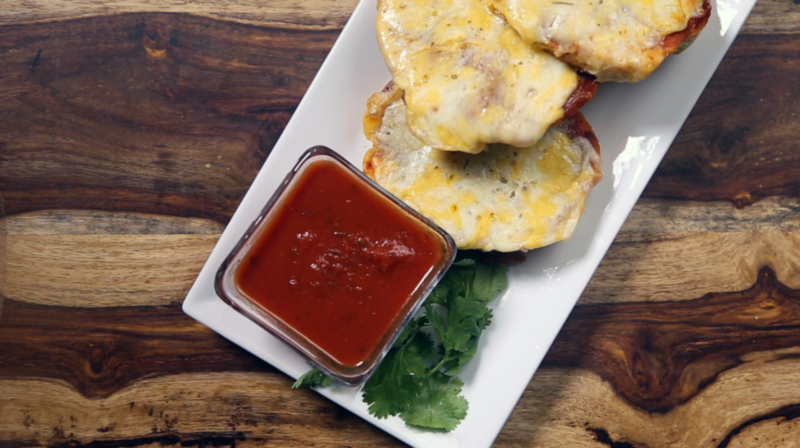 This Texas Toast garlic pizza bread is quicker than delivery, and allows you to customize your favorite pizza without having the leave the house or dish out a hefty price for a local restaurant. Place the Texas Toast out on a greased baking tray. Put a thin layer of marinara sauce on top of each one, then top with your favorite pizza toppings! We love a traditional mash up of shredded cheese and pepperoni. Once it is all prepped, bake it in the oven at 375° for about 8 to 10 minutes, until the cheese has melted and become golden brown. Then, this mini pizza bread is ready to serve! We love to add in a bowl of extra marinara sauce on the side to be able to dip our slice in. This recipe isn’t limited, though! You could add any variety of toppings, sauces, or dipping options into the mix, and you can even serve up a variety of different options to incorporate in everyone’s pizza favorites!